I am a long time follower :-) I gave my Beam n Read to my mother in law and I sure would love to have one for myself :-) I follow on GFC. I would love to have one of the lights. I am 75 and have very poor eyesight It would be wonderful to have a light shine right where I need it. Guess you can see I would use it for myself. Thanks so much for the chance to win. I would like to give this light to my Dad. I would use it for reading, cross-stitch, sewing to name a few things that come to mind. Sounds wonderful! When doing handwork while watching TV with the hubster. He likes the room lights out. I won my first one and have given them as gifts ever since. They are really fabulous. I'd give it as a gift. I would use it for quilting in the evenings, my lamp just doesn't cut it!! I like to do my handwork: redwork, stitching on bindings, clipping threads, etc while watching TV (gotta do something to keep the mind going!). A Beam and Read would work terrific during that time. Been a follower for ages. Currently following with Bloglovin. Thanks for giveaway! What a great light! I would use the light when I quilt and sew at night! It would be such a help to me! My eyesight gets worse the older I get. I'd use it for hand sewing, knitting & reading. Thanks. I would use this light to do stitching at night and during gloomy days too! I'd also use it when crocheting, reading, and when cleaning my sewing machine (to see all the nooks and crannies). My eyes are older than yours and I also have cataracts (beginning stages) so the more light, the better! Thank you for the chance to win! More light is always what I am seeking! I'll be 50 in Febuary and in the last year I've noticed the need for more light and glasses. Hand sewing at night would be so much more enjoyable if I could see without straining my eyes. Oh I would love to be able to do handwork while the family is watching a movie~ they don't like my big light next to my chair. ;-) Thanks for the fun! I'm a longtime follower via Bloglovin and would use the light at night since I'm a total night owl and I could do handwork. I follow you through Blog Lovin. I would use this when I am hand quilting and sewing at night. The light in our house isn't the best, so this would be well used! I will use it to read and to do hand stitching and other hand work. I will use it to do bindings on my quilts. I love to hand sew at night. I can see the Beam N Read being very, very helpful! I've been thinking that I need more light when beading and didn't know which one to try. This looks like a winner! I would use the Beam and Read for doing more hand stitching. Let's face it after 50 we do less of things that are "hard to see" if we don't have the light for it. This looks like a great item needed to stitch and read. Thanks. I won one on one of your give-aways and I LOVE it - so I'm not going to enter, lol!!! I too find I need more and more light every year, and this really does the trick, especially with the short days we're having! I need LIGHT. Tis sad. It would be great having both LIGHT and FREE hands. Nice tool and giveaway. I would use the Beam and Read light for doing my beading during those football games my husband and son love to watch! Thanks, Kelly! I would love to be the winner of the Beam and Read light, I would use it for reading and sewing and there are many other uses. What a great giveaway! Thank you for the chance to win one of these fabulous lights. Maybe it would help me sew on binding better! I would use if for reading. As I reluctantly admit that my vision is not as good as it used to be, I would really appreciate owning one of these Beam and Read lights. Thanks! Ooohhh I would love to have one of those. 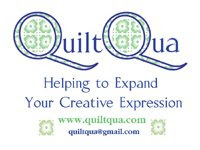 I am planning to teach myself how to hand quilt, plus I read at night before going to sleep. This would be a great thing to have for both! Thank you for the opportunity! Light would be great for my aging eyes. sorry, got things backwards! I sit by hubby at night. he watches the news, football, or the military channel - I do handwork! help!!! I'd use it to sew in the evenings - my eyes are older than yours! I could sure use one of these for reading in bed or for embroidery work! Looks like it would be great for older weary eyes! I will use mine to sew. I love small projects,esp with counted cross stitch and this is perfect for seeing tiny stitches. I'd love to use mine in my dimly lit family room. It would be a boon to my sewing. I'm doing so much handstitching these days, I know I would be using it every day. I follow via Bloglovin. Thanks for the fun! I will use this for both reading and sewing! Thanks! Wow! These look really cool! I'm a 50+er myself and need a lot of light, including my cheaters, to see what I'm doing. I would use this in bed when my honey's sleeping and I'm up late reading. I'd also use it in the summertime on the porch as I read or hand-sew so I don't have to turn on the porch light that attracts bugs. I have migraines, and lamps or bright lights can exacerbate my headache. It would be great to have a light source that pointed at whatever I'm reading, not at my eyes. I have a older Kindle (with no backlight) so this would come in handy on roadtrips! Plus, I'd use it when I'm sewing in the bedroom and hubby is "sleeping"
We like low light in our house so I would like to be able to stitch in the evenings but I need more light. These shorter days mean less stitching! Love the looks of that light. Better than the camping headlamp I use now. Thanks for the opportunity. My little corner of our livingroom is my fortress of solitude, however it's as black as a bull's belly! I like to cross stitch or read in the evenings and become very frustrated when I can't see what I'm doing! I agree - these lights would make my holidays bright(er)! I have a 90 year old friend who still quilts & reads a lot. A Beam N Read would be great for her. While wrapped up in my latest quilt project while stitching on the binding by hand. I seem to always do that at night or when it's dark so the light will be super handy and appreciated. Thank you for sharing!